Maria Sharapova set up a mouth-watering second-round clash with Eugenie Bouchard at the Madrid Open on Monday after battling back from a set down to beat Mirjana Lucic-Baroni 4-6, 6-4, 6-0 on Sunday. Bouchard called the Russian "a cheater" last week and suggested she should have been banned for life -- rather than 15 months -- after testing positive for meldonium at the 2016 Australian Open. And the Canadian said she would have "a bit more motivation" against her former idol Sharapova after registering a first win on the WTA Tour since January against Alize Cornet on Saturday to set up the grudge match. 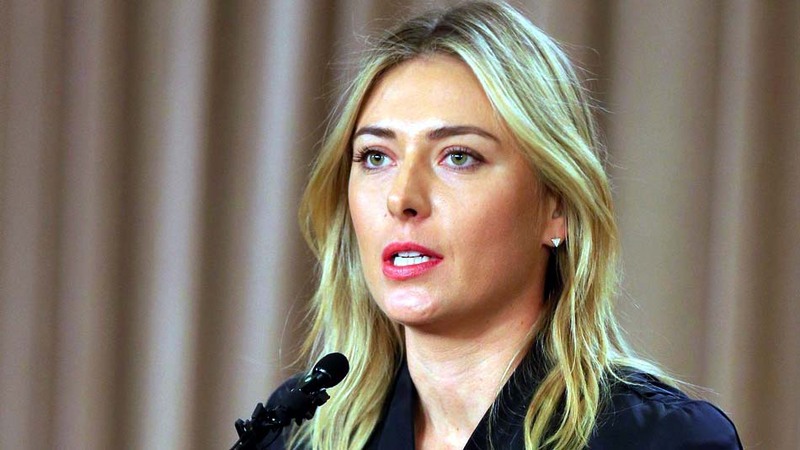 "My tennis speaks for itself, and that's what I focus on," said Sharapova, 30, whose immediate return after her ban has gone down badly with some of her fellow players. "I love being quiet about it and letting everyone around speak or have the noise." Despite the controversy surrounding the decision to hand her a wildcard, Sharapova was given a warm reception by the sparse crowd on the main Manolo Santana court in the Spanish capital. "There's kind of an eeriness about the tournament," added Sharapova. "You know the VIP tents are full, but then the courts don't always get the spectators in from the beginning of the match." After reaching the semi-finals on her return from her doping ban last week in Stuttgart, Sharapova showed impressive levels of fitness to dig deep after a tough couple of opening sets against world number 20 Lucic-Baroni. There were four breaks of serve in the opening six games, but Lucic-Baroni was good value for her lead when she served to take the first set. Former number one Sharapova bounced back at the start of a gruelling second set that lasted over an hour by moving 4-1 in front. However, Lucic-Baroni held off four set points and then broke back for 5-4. The Croatian's good work was undone, though, by a sloppy service game as Sharapova broke once more to level at one-set all. And there was no stopping the five-time Grand Slam champion in the decider as she dismissed a dispirited Lucic-Baroni for the loss of just 11 points. World number two Angelique Kerber eased into round two with a convincing 6-4, 6-2 win over Hungary's Timea Babos. Defending champion Simona Halep cruised past Kristyna Pliskova 6-1, 6-2. However, home favourite and French Open champion Garbine Muguruza's disappointing form this season continued as she was blown away 6-1, 6-3 by Switzerland's Timea Bacsinszky.